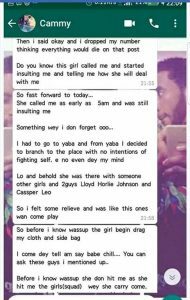 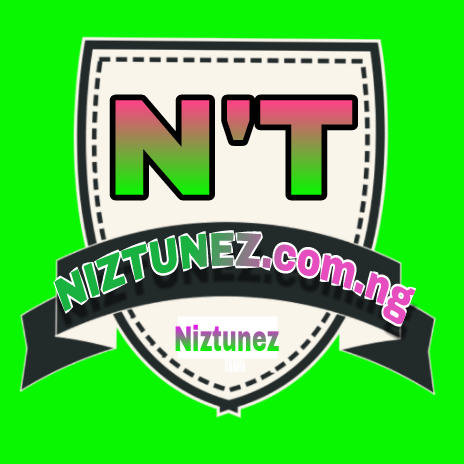 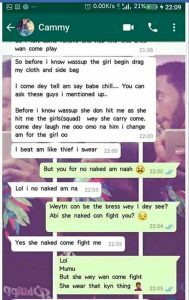 A serious fight broke out between a young man and lady during their meeting yesterday in Lagos. 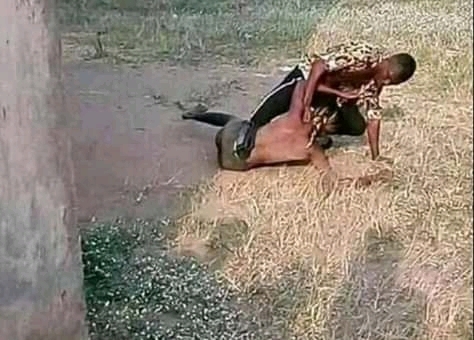 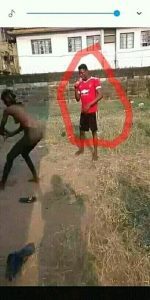 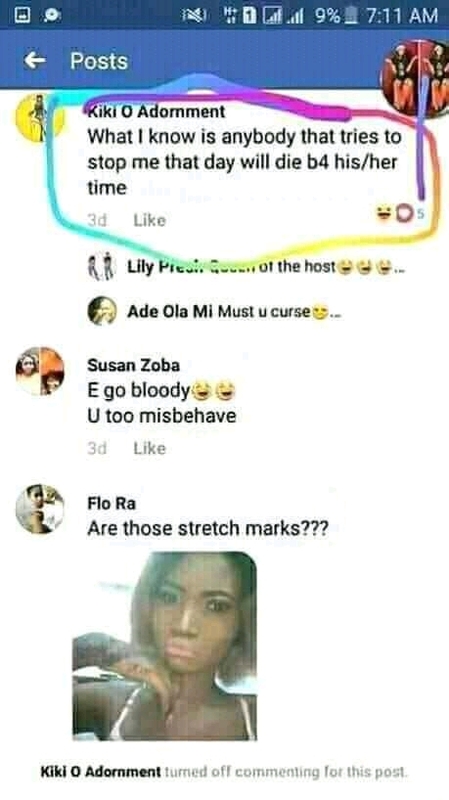 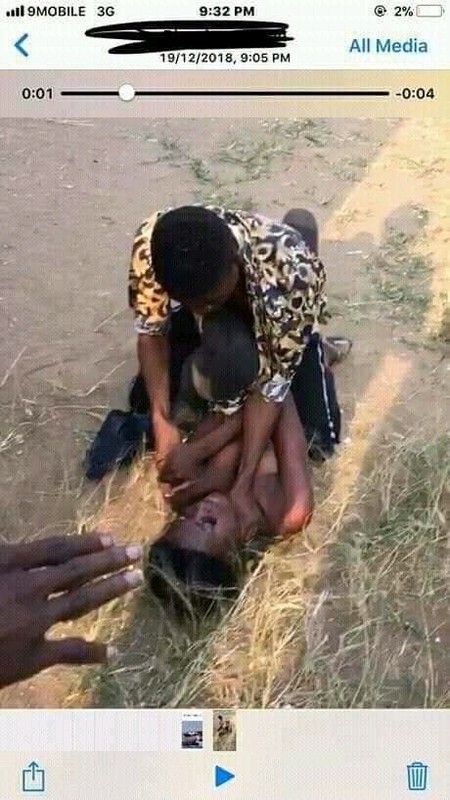 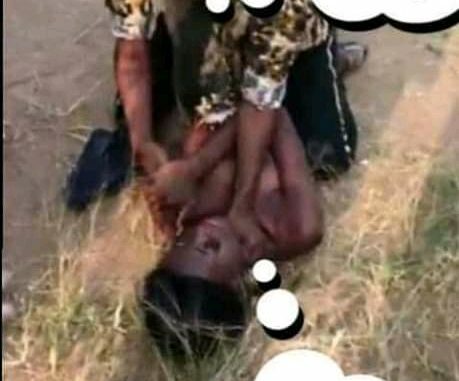 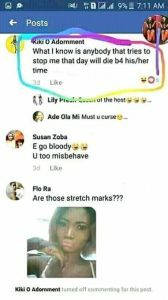 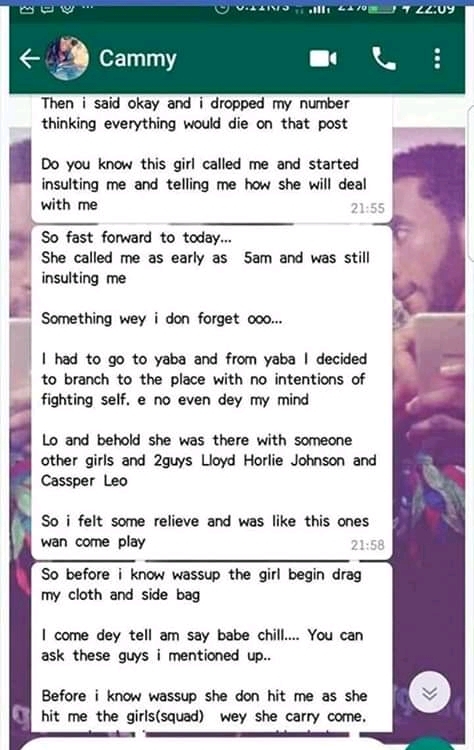 It was gathered that the clash between the Facebook users occurred following a brawl which started on the social media platform as it is claimed that there’s has been bad blood between the two. 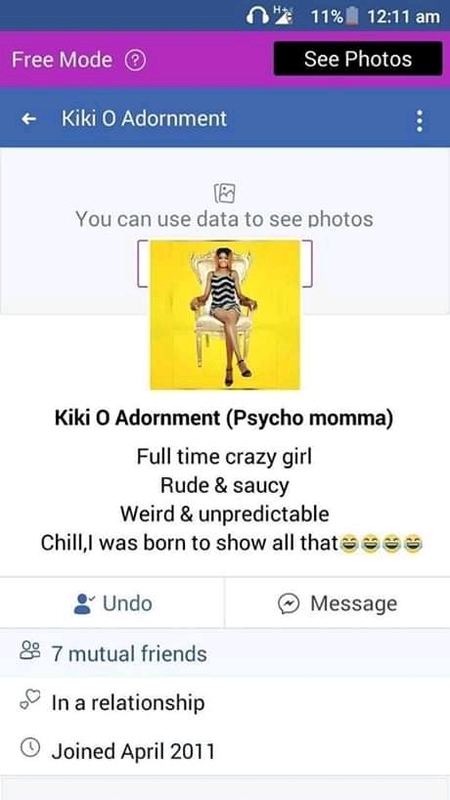 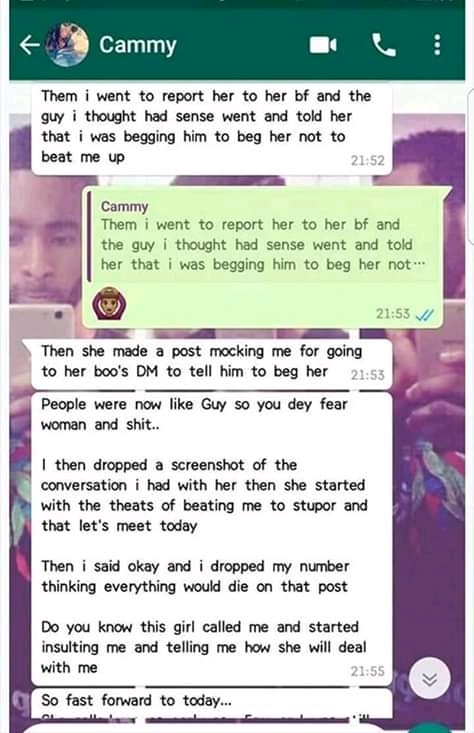 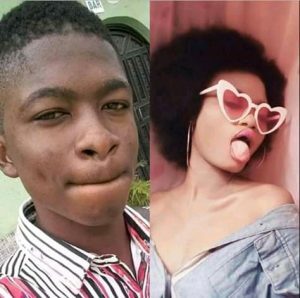 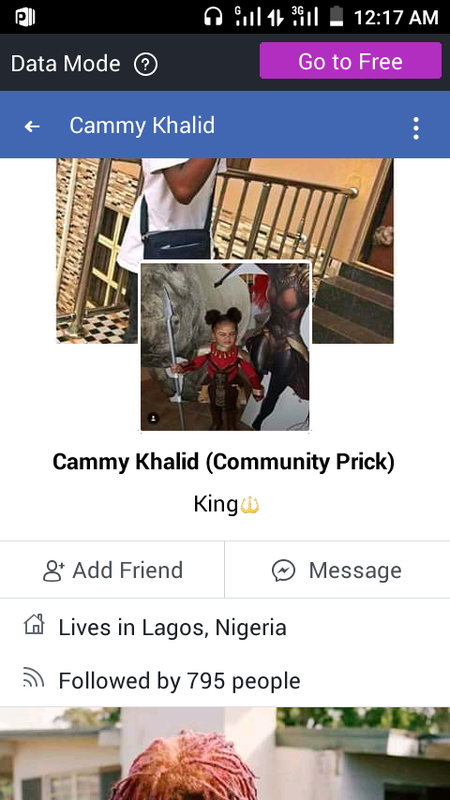 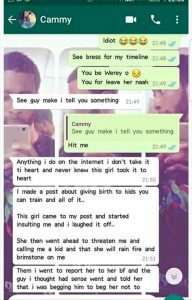 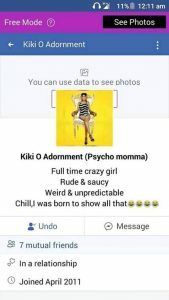 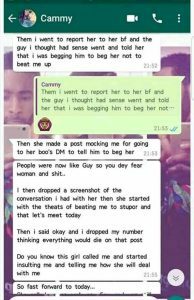 According to reports, the fight started online when the lady identified as Kiki allegedly made a post threatening to beat up the young man named Cammy, when she meets him in their Facebook group’s hangout in Lagos. 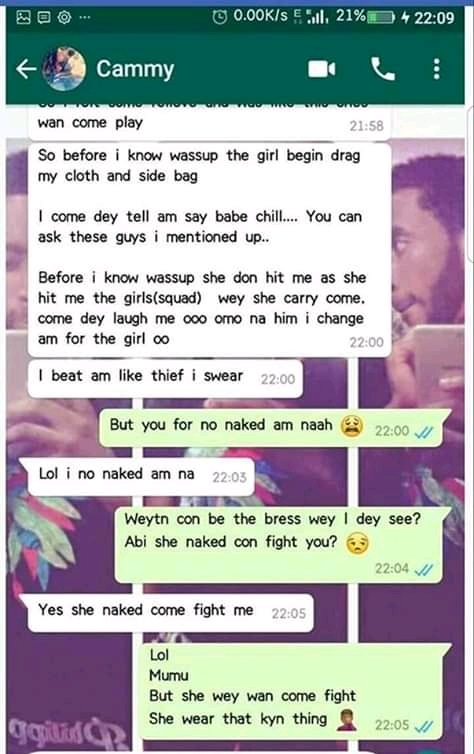 The duo finally met at the hangout on Wednesday (yesterday) and exchanged words for some time before engaging in a serious fight. 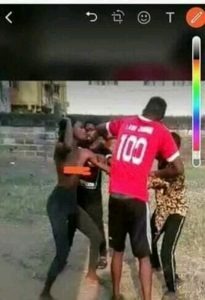 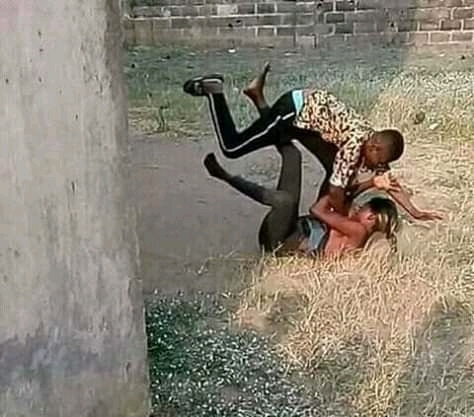 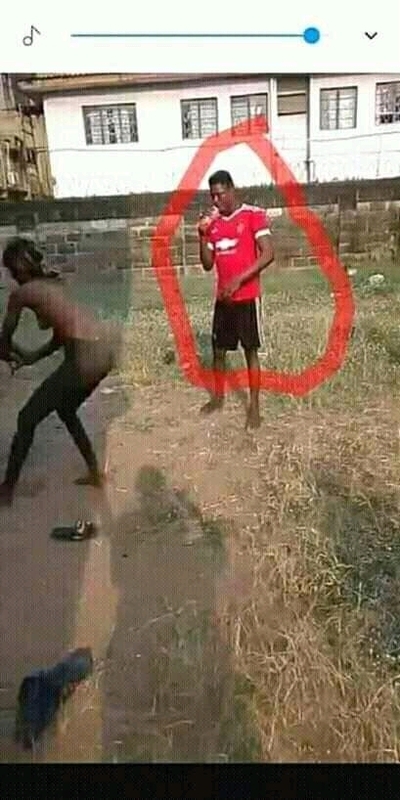 The slay king and the slay queen fought themselves to the extent they tore their clothes in public. 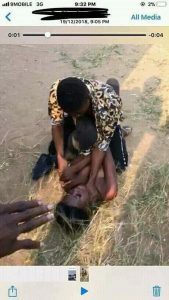 While the fight was going on, other members of the group did nothing to stop them but even filmed the disgraceful scene which has gone viral on social media.